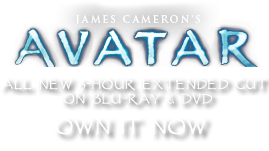 Stingbat | Pandorapedia: The Official Guide to Pandora | Own AVATAR on Blu-ray & DVD Now! Their diminished cerebral capacity makes them common prey for larger predators such as banshees. But their prodigious mating habits ensure a steady population. Anatomy Translucent teeth and claws, bioluminescence on periphery of wing membrane and torso. Scorpion-like tail stinger. Small brain cavity. Four eyes. Feeding Ecology Nocturnal aerial predator, omnivore. Feeds mostly from canopy on rodent-sized creatures, lizards, and fruit. Usually solo feeders, but will swarm against larger prey such as small hexapede. Size Up to three meter wingspan. Notes Treated almost like pets by some Na'vi despite lethal tail spines. Can be summoned by Na'vi with clicking sound between tongue and teeth to alight on arm or shoulders and eat fruit from Na'vi hands.